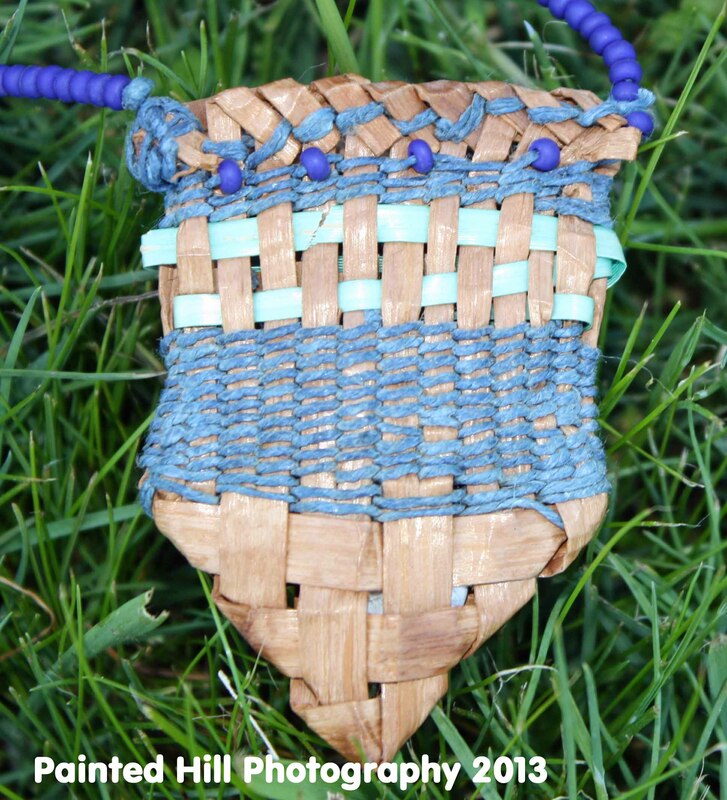 Basket making was not only a piece of art for the Sinixt or Arrow Lakes People of Northeast Washington State, but more importantly a way of life. One of Survival. 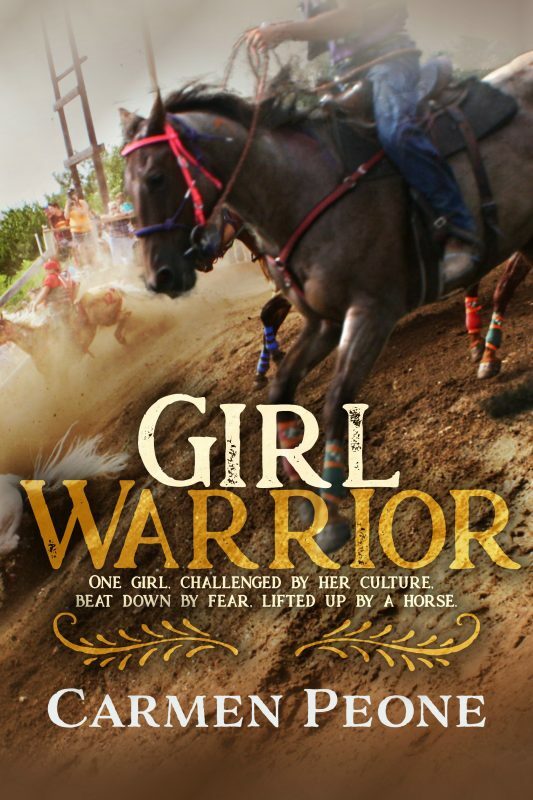 In my Young Adult book, Change of Heart, I wanted numerous facets of the traditional Arrow Lakes way of life. Basketry was a pledge. I had made a few different kinds in our afterschool program at the Inchelium school years ago. 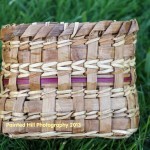 An Arrow Lakes basket maker, Joyce Kohler, came in and worked with my students. So when editing my manuscript for Change of Heart, I knew baskets or basket making somewhere, somehow had to be referenced. “What are they?” she winced at the pain that shot down her sides and leg. She was just too groggy to try to remember the herbs. What she did recall were the times of picking and drying berries and roots for food and medicine. The memories flooded her suddenly. Those were good days for the women in her village. Stories were told and laughter filled the forests. She felt so alone as she reflected on those times with her family. Spupaleena also remembered the beautifully woven baskets made of cedar bark, and decorated with deep hues of sedge grass and bone beads that stored food and medicines. She began to relax and let her thoughts flow that evening. For a moment, her pain was forgotten as each image presented itself to her. Then sleep came once again and stole away those precious memories. She did, however, sleep dreamless and deep. 1. 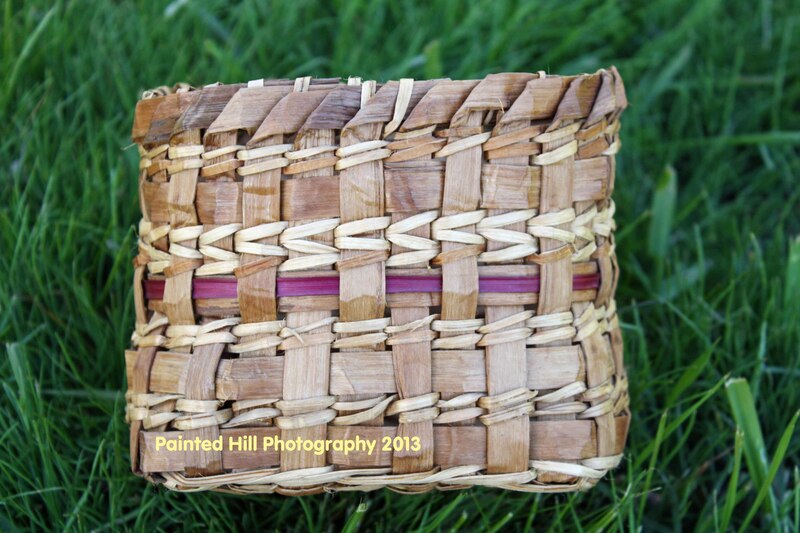 Coiled baskets of the cedar root were utilized for gathering, storing and cooking of foods. 2. A cedar root foundation was generally sewn into a continuous coil. 3. 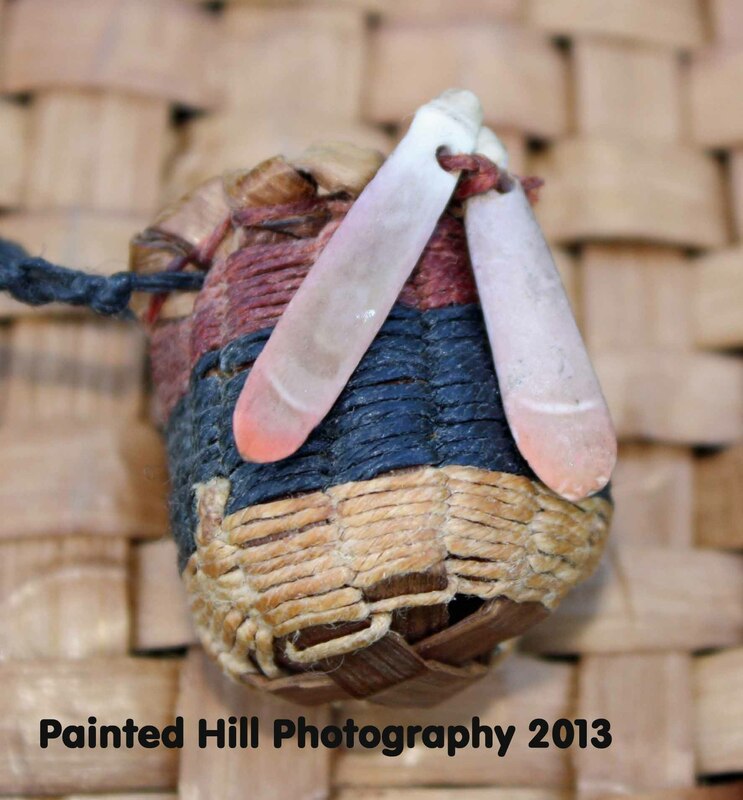 Sedge grass, bear grass and bone beads were used to embellish the coiled baskets. 4. The cedar root had to be soaked in water until ready to coil as it needed to remain pliable. 5. Most tree roots were bitter to taste, while cedar roots had a fresh, damp earthy taste. 6. Folded cedar bark baskets were also used to store dried berries for the winter use. 7. 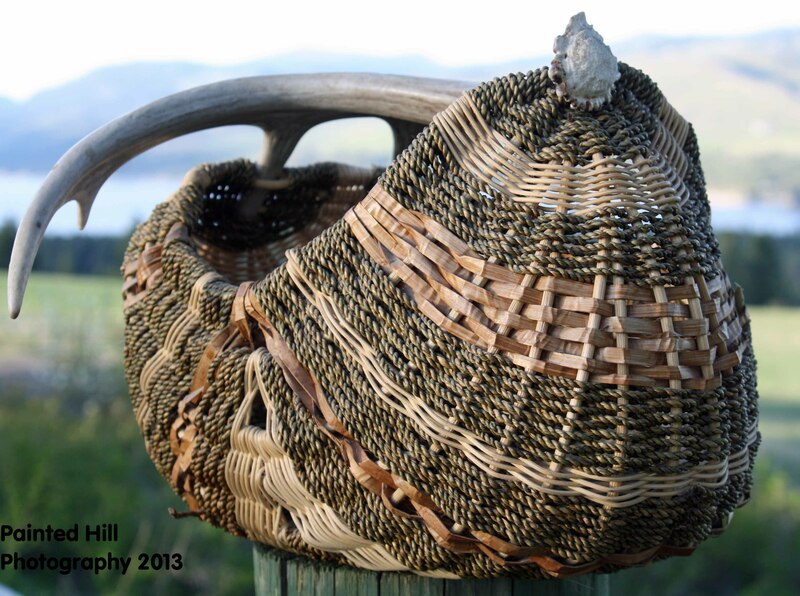 Arrow Lakes women were master basket makers. 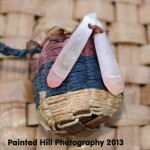 Their stitching was so tightly sewn that many of their baskets were watertight. 8. Baskets were also used in cooking by placing hot rocks inside the baskets of water, venison and roots for soups and herbs for teas. 9. Practice baskets made by young girls were sometimes given to more accomplished basket makers in the belief that greater skills might be transferred to the novice. 10. 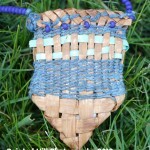 Hemp was also used to weave flatter bags to carry on foot or by horse when moving from camp to camp. Lakes Language as taught to me by Elder Marguerite Ensminger as seen in Change of Heart by Carmen Peone. Do you like to create with your hands? What type of art interests you?